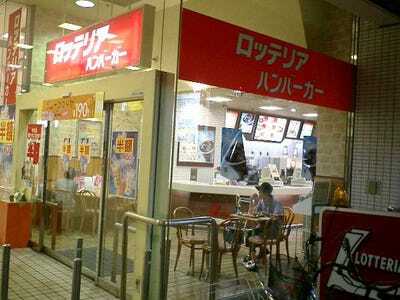 Fast food restaurants are an American tradition. 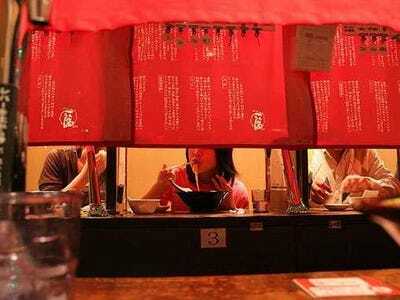 But restaurant chains abroad have also mastered the art of quick meals on-the-go. 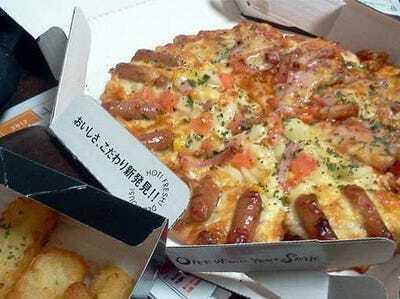 From creative pizzas to rice burgers, here are 16 fast food chains we wish would come to the US. Why it's great: Hesburger is best known for its sauces and salad dressings, including a cucumber-and-paprika mayonnaise that tastes best with its hamburger. Signature menu item: The falafel burger. Why it's great: This burger joint uses only Irish beef and serves French fries eight different ways, topping them with everything from coleslaw to taco meat. 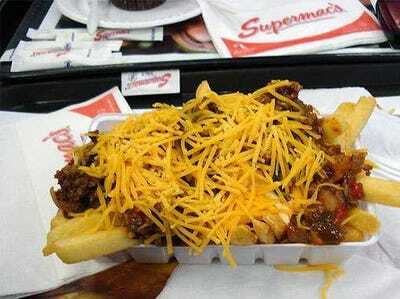 Signature menu item: The curry cheese fries. 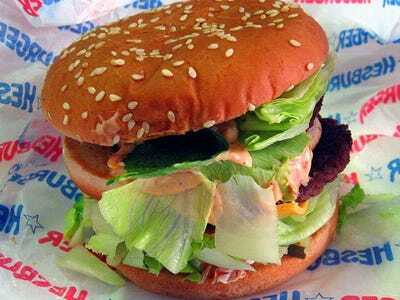 Why it's great: Lotteria is always inventing new menu items, like the ramen burger, the five-patty burger and the latest 'Everything Burger,' which includes lettuce, cabbage, egg, a slice of cheese, a cheeseburger, a rib patty, a fried shrimp patty, and a beef patty. Signature menu item: The shrimp burger. Why it's great: Even though most people in the U.S. have never heard of Dicos, it actually has roughly the number of franchises as McDonald's. 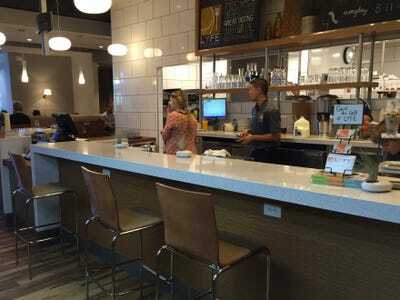 The food is American-style with an Asian twist. Why it's great: What makes Ichiran's ramen so good is its 'Original Red Sauce,' a red-pepper-based sauce mixed with 30 spices and cooked slowly over the course of several days. Why it's great: Kaati offers more than a dozen types of rolls for meat-eaters and vegetarians alike. 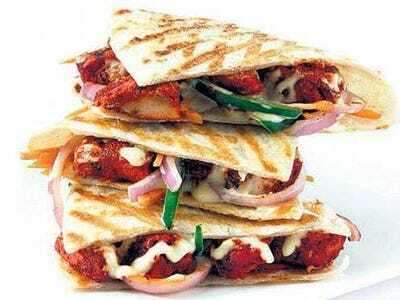 Signature menu item: The Chicken Shami Kebab Roll with minced chicken and chick peas. 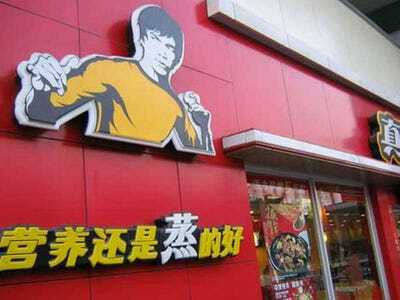 Why it's great: Kung Fu has a variety of meat and vegetable dishes. 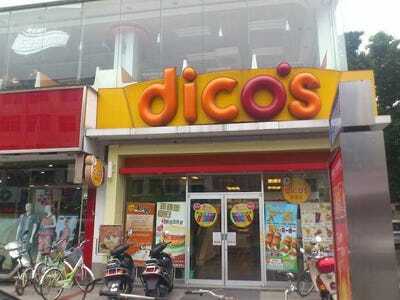 It also sells exotic juices. Signature menu item: Mushroom chicken with steamed rice. 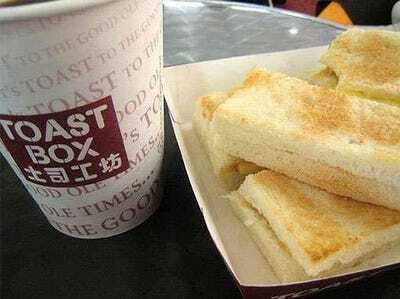 Why it's great: Toast is largely considered a side dish in the Western world but Toast Box turns it into the main attraction by slathering it with crunchy peanut butter, milk, and garlic, among other things. Signature menu item: For dessert, Toast Box offers offers a thick slice of its signature bread topped with three scoops of peanut butter ice cream. 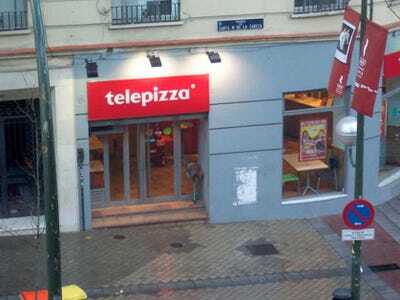 Why it's great: This pizza chain offers out-of-the-box selections that are far more creative than anything at Pizza Hut. Signature menu item: Pizza with scallops in a butter-soy sauce. 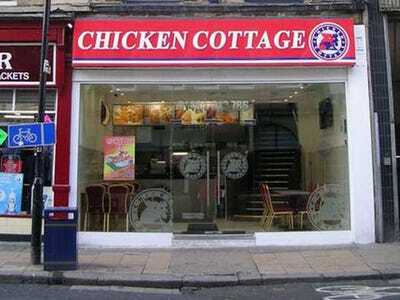 Why it's great: Chicken Cottage offers a flavorful alternative to Nando, the U.K.'s other favourite chicken eatery. Signature menu item: Whole peri peri grilled chicken. 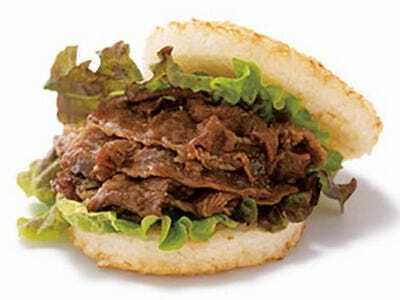 Why it's great: MOS Burger offers more than 30 hamburger and sandwich combinations with beef, chicken, seafood and vegetables. Signature menu item: Either the MOS burger (beef) or the kaisen kakiage rice burger (shrimp fritter between two rice patties). 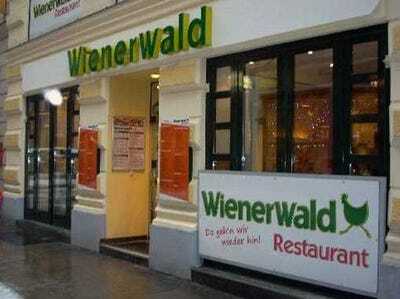 Why it's great: Founded in 1955, Wienerwald has been perfecting its rotisserie chicken recipe for nearly 60 years. Signature menu item: Rotisserie chicken meal. 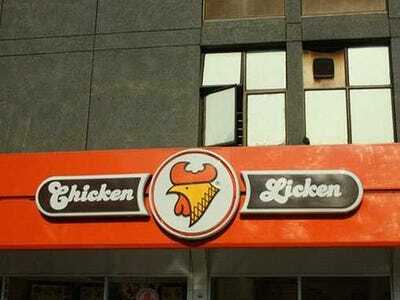 Why it's great: Chicken Licken is the biggest non-American fried chicken franchise in the world. 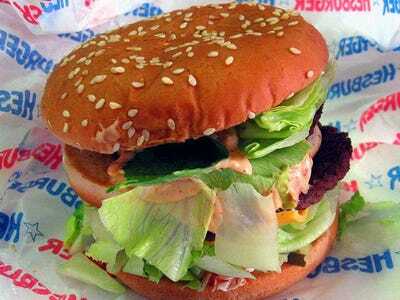 Signature menu item: Love Me Hot burger with a chicken filet and signature sauce in a toasted bun. Why it's great: Telepizza puts a spicy twist on a traditionally Italian dish by adding jalapeno peppers to a number of signature pies. Signature menu item: The 'Mexican' with chilli, beef, onions and jalapeno peppers.